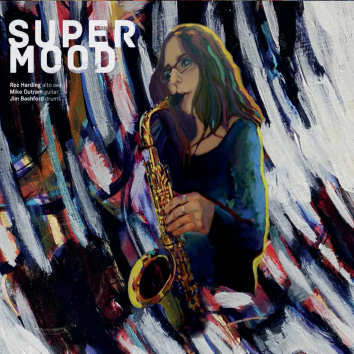 Supermood is a debut CD and a welcome addition to the Leo Records' catalogue. It is a brainchild of great talent from Devon Roz Harding (alto sax & voice) who penned eleven compositions for this CD. Catchy tunes transform into collective improvisatitons and you can't tell when one finish and the other begin. Both Mike Outram (guitar, voice) and Jim Bashford (drums, voice) are virtuosos in their own right. Roz Harding organised the music as a non-stop narrative of life inside the Supermood.